Open Source UK Real Estate Property Accessible software for Estate Agents, Rental Agents, Holiday Owners UK London. View our latest template designs! Real Estate Accessible Property Software. Estate Agents, Rental Agents, Holiday Owners. Welcome To Open Realty UK. Open-Realty® is a powerful data base application for the Estate Agents, Rental Agents, Holiday Owners, offering total flexibility 24hrs a day 365 days a year. It is a totally secure system that is Easy to operate by anyone. The Property Software can be operated online in parallel with your own website. You can access the system via your own very private control pannel allowing you to upload full details of your Property Listing, search for alternative properties, record client data, print off display information, email property information directly to potential clients, update your own website, share properties with associates, all this for Free. Open-Realty® 2.5.8 Property Software Features. Ability to add an unlimited number of fields to listings. Ability to define different fields for each property class. You can define which fields are searchable, through our easy to use administrative interface. Upload multiple images at once to listings. Automatically creates image thumbnail for you. Upload 360 Virtual Tours for your listings. When you have chosen to use Open-Realty UK Hosting for your real estate website hosting, we will make sure that Open-Realty runs smoothly on our servers and that your website is safer, faster and better supported than anywhere else! Check out our great Open Realty UK Hosting plans here. Our Services From Open Realty UK. Open Realty UK offers a great Customization Service and Bespoke Website Design Service to all our clients. Designing in Web 2.0 XHTML CSS your site will be Read More..
Addons can be hard work if you do not know what you are doing. Let Open Realty UK intall your addon and do all the testing for you. This will leave you time to get on with Read More..
Our installation service could save you a lot of time. 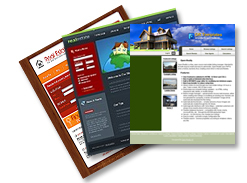 Let Open Realty UK intall your template to your property web site and take the strain out of you doing the work Read More..
4Templates 2 Open Realty We Customize any 4Templates Template to Open Realty Real Estate Property Software. Read More..
Template Monster 2 Open Realty we can Customize any Template Monster Template to Open Realty Property Software. Read More..
Open Realty 2 Go is a package with Open Realty Real Estate Property Software and a template of your choice. The selected template is implemented into Open Realty and it's ready for uploading and use instantly on your web site. Open Realty Addons 2 Go works in the same way, just that you also choose an Addon to go with your template of your choice. 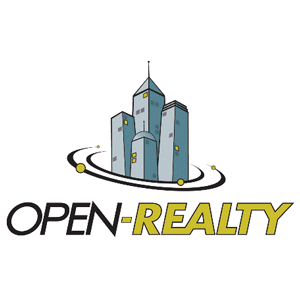 Open Realty UK is NOT affiliated with Open-Realty® or Transparent Technologies in any way. If you haven't found the template you're looking for, or if you have suggestions as to our range of products and services please Contact Us with your suggestions.